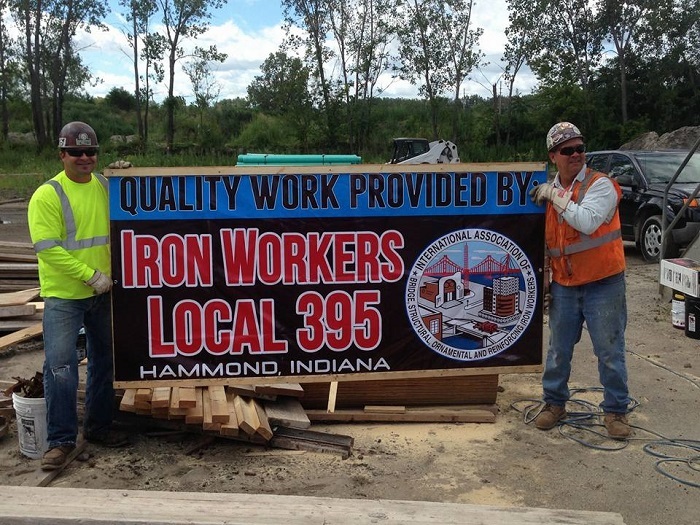 Iron Workers Local #395 strives to achieve a good standard of living and quality of life for our members,and their families, in all phases of their ironworking career by building a reputation for performance, excellence and unsurpassed pride within our Local Union. Local #395 continues to forge and maintain strong partnerships with Owners and Contractors based on our commitment to provide excellent craftsmanship through safety,productivity,reliability and training. The up-most goal of our program is to provide all contractors with the most highly trained, skilled, safe, and productive ironworkers. Go to our Benefits page to find all the information you may need for all of your Health, Annuity and Pension Information. Our Membership News has a lot of important information including meetings and also any information you as a member may be interested in. Check it out! We want to hear from you. Please go to our Contact Us page and either call us or feel free to complete the form and someone will be in touch shortly. We look forward to hearing from you!